International Monetary Systems (OTCBB:INLM), continues its ?PacMan-like? focus of acquiring the nation?s top trade exchanges. Their latest coup being Alliance Barter, one of the best operated exchanges in the country with an especially strong trade dollar. The Rochester NY-based Alliance serves clients in Buffalo and Syracuse, with a Canadian office in Toronto. This is Steve Webster?s 29th year in the barter business. An excellent cover story on Alliance Barter was published in BarterNews, to view the article click on www.barternews.com/pdf/34-37Alliance.pdf. If you had some health challenges and had to be hospitalized several times you know the antiquated methods for acquiring a patient?s health data, i.e. filling out numerous forms, over and over, with the same information, even when the patient?s stay is in the same hospital. The exchange of data in Silicon Valley is going to change that scenario. Three area hospitals (L. Packard Children?s Hospital, El Camino Hospital in Mountain View; and Stanford Hospital/Clinics) along with the Smart Health initiative will undertake the creation of a unified electronic patient record that will be available to doctors and patients anywhere, anytime. 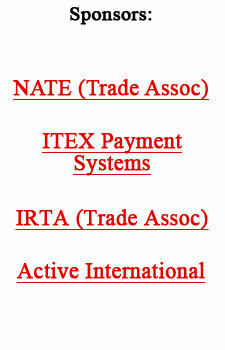 Trading among IRTA-member trade exchanges, which use a trade credit called ?Universal Currency,? was brisk in October, according to a report from UC trade broker Jen Ashworth. China?s National Tourism Administration says the industry is booming. A lot of it has to do with China?s per-capita income, which surpassed $1,700 last year and has stimulated domestic tourism. If house prices merely stabilize, people?s diminished ability to use their houses like automated-teller machines would subtract about 0.75 percentage point from annualized GDP growth in 2007. The rapid growth in the industry in the last two years has been fueled by the middle ranks of the newly wealthy, according to David Savile, CEO of Air Partner, the world?s leading air charter broker. According to Savile the traditional client base in the 1990s was the corporates...the Merrills, the Goldmans, the government. And while these markets have continued to grow massively, the real quantum growth in the past two years has been from the high-net-worth individuals. Although business use is the mainstay of the private jet model, wealthy individuals are using them as a relaxed way to take a weekend away to places such as Spain or the French Alps. Air Partner has 1,100 unique clients but Savile says they?ve just scratched the surface, as there are thousands of multimillionaires and hundreds-of-thousands of millionaires. Look for an e-mail if you?re a customer of Continental, Delta, Northwest or US Airways. Beginning in January, some 20 million e-mails will be sent out inviting you to watch online ads in exchange for airline miles. Recently Travelocity launched a loyalty program for its VIP customers. Now, through a licensing deal with Travelocity Incentives, it is offering gift cards in $25, $50, and $100 denominations...available at more than 1,000 Safeway locations and at Travelocity.com/giftcard. Travelocity, which booked $7.4 billion in travel worldwide in 2005, is the fifth largest U.S. travel agency,. Dana Telford, co-author of The Integrity Advantage with Adrian Gostick, affirms that ?Ethical organizations outperform their unethical peers, it?s that simple.? A 2005 Watson Wyatt study showed companies with high integrity outperformed their low-integrity peers by 200% in financial returns. A Johnson & Johnson study found that if you invested $30,000 in 30 ethical companies over 30 years, it would have yielded 4.7 times more than the Dow. Forty percent of consumers would boycott an unethical company, and 20% have done so, according to the Conference Board. The authors emphasize that ?trustworthiness is one of the most-fragile concepts we have. Leadership (coupled) with integrity is more trusted and admired.? 1. Know That Little Things Count. Draw a line in the sand. Avoid gradual slipping of standards. Everything a leader says and does matters. 2. Keep Your Word. Do what you say you?ll do. Follow-through is a core marker of integrity. Treat promises seriously. 3. Mess Up, ?Fess Up. Be willing to admit you are wrong. Reward honesty. 4. Create A Culture Of Trust. Be consistent with one set of rules for everyone. Be approachable. Surround yourself with integrity.